Sand Solutions is committed to supporting opportunities for government contractors to interact with experts and gain the latest information relative to information systems and technology. The Florida corridor has long been recognized as a major geography for many of these companies and has given rise to laying the framework for just such interactive conferences. technology initiatives provide even more growth potential. 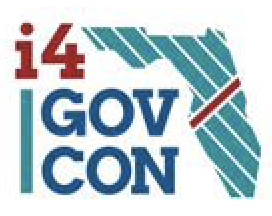 On March 24, the inaugural conference, iGovCon4, will be held in Tampa at the DoubleTree Westshore and Sand Solutions is proud to be an alliance sponsor of this most timely and important event. Sand Solutions has been recognized for its multiple cloud hosting options, compliant with the government industry expectations and requirements. With its headquarters in Florida, this is Sand Solutions opportunity to give back to the conference and support the Florida based industry. To register for the conference or to learn more about the agenda, visit the conference web site at: http://www.i4govcon.com/home.html or contact Sand Solutions for more information.